The name Langdales goes back to the Civil war when the house and all the nearby land was owned by Sir Marmaduke Langdale. Born in Beverley in Yorkshire, Marmaduke Langdale inherited substantial estates from his father. He gained his first military experience in 1620 on Sir Horace Vere's expedition to the Palatinate. In 1626, Langdale married Lenox Rodes (d.1639) with whom he had four sons and three daughters. He was knighted by King Charles I in 1628 and increased his estates during the 1630s to become one of the leading gentlemen of Yorkshire. Despite his opposition to policies such as ship-money and forced loans, Langdale was appointed High Sheriff of Yorkshire in 1639. His refusal to co-operate in collecting controversial taxes incurred the King's displeasure and Langdale was threatened with prosecution before Star Chamber in 1640. 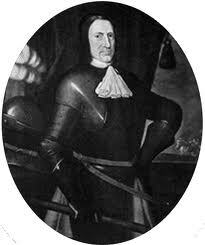 However, on the outbreak of the First Civil War in 1642, Langdale was named as a Commissioner of Array for Yorkshire and appointed a colonel in the King's service. Langdale commanded Royalist forces in a number of key battles in the Civil War. He was captured at the Battle of Preston (1648) and imprisoned, he escaped twice and made his way to the continent. At the Restoration he was made Baron Langdale, he died in 1661.